At a major Arctic symposium, experts say that iceberg swarms, melting sea ice, and crumbling coastlines are disrupting ships and displacing communities. A glacier and sea ice are seen from NASA&apos;s Operation IceBridge research aircraft on March 30th, 2017, above Ellesmere Island, Canada. On Alaska&apos;s North Slope, fierce autumn storms are pushing parking lot-size slabs of ice into coastal towns. 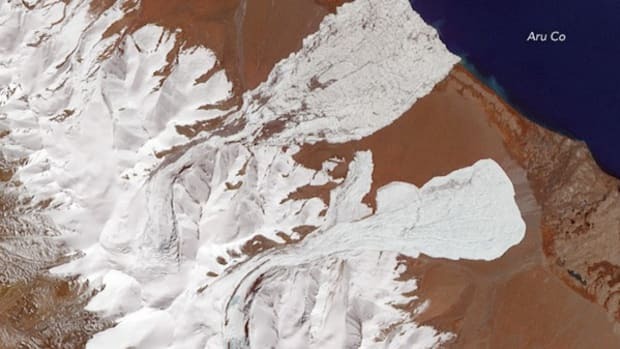 Across the Bering Strait, waves driven by the same storms are taking 70-foot bites from thawing permafrost bluffs. And in the North Atlantic, the number of icebergs swarming into shipping lanes has reached the extreme level four years in a row. The United States could be much better prepared for intensifying global warming impacts in the Arctic, but that will require a focused policy and a modest increase in spending. Simply put, we need more research and more ice-worthy vessels—and we especially need resilience and adaptation in local communities, according to Arctic experts who spoke during the biennial Symposium on the Impacts of an Ice-Diminishing Arctic. For one thing, the U.S. could benefit from stepping up research, said Craig McLean, acting chief scientist for the National Oceanic and Atmospheric Administration. U.S. spending on Arctic research has flatlined the last few years, even as climate change in the Arctic is accelerating. By contrast, Canada has just opened a new high Arctic research station in Nunavut, in collaboration with the local indigenous community. Despite increasing evidence that Arctic change will have significant effects on the contiguous U.S., the Trump administration&apos;s proposed budget would shift money to defending the southern border, but Congress could still restore some of those potential cuts to Arctic funding, McLean said. 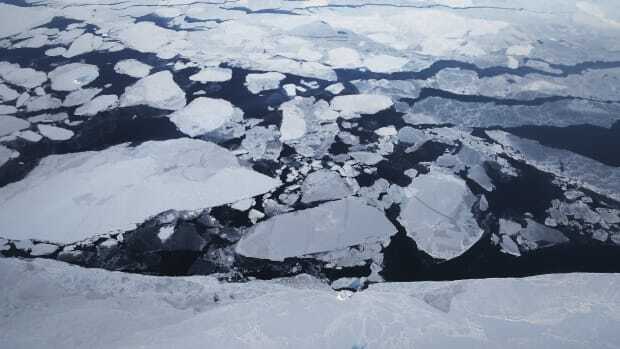 "There is a rapid rate of change going on in the Arctic.... 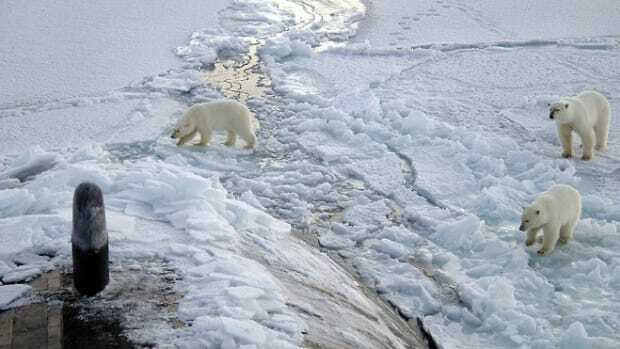 The weather patterns are breaking up and leaving the Arctic, and there&apos;s a strong signal that&apos;s starting to influence what happens to us here in the lower 48," he said. 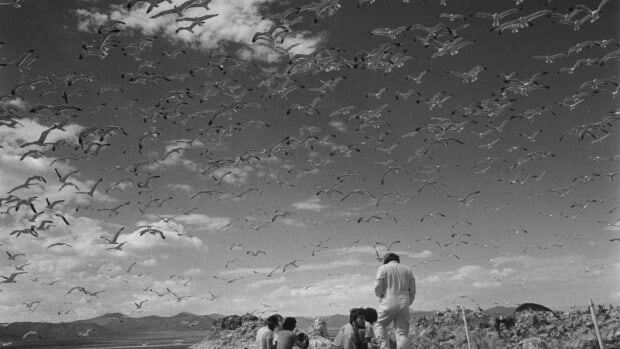 Events that were unusual a few decades ago are becoming commonplace. This year—2017—is the fourth year in a row with an extreme iceberg outbreak in shipping lanes. 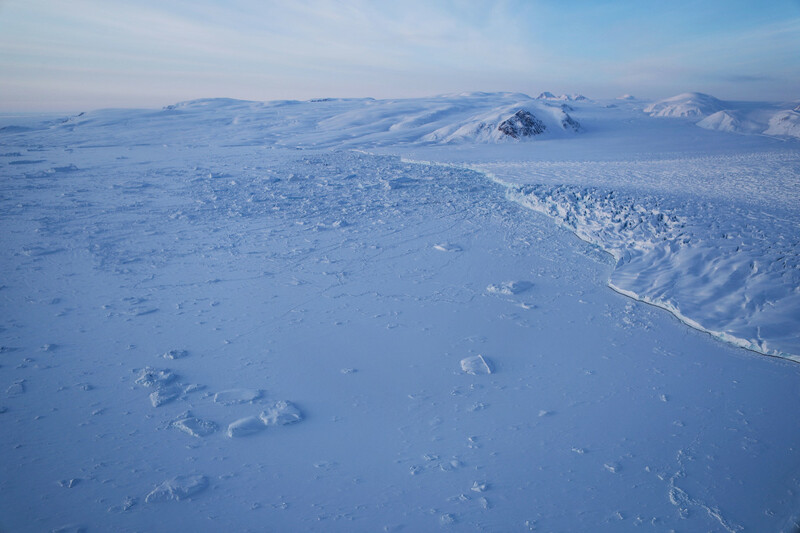 The number of bergs surged so suddenly that Gabrielle McGrath, commander of the International Ice Patrol, likened it to an iceberg "explosion." 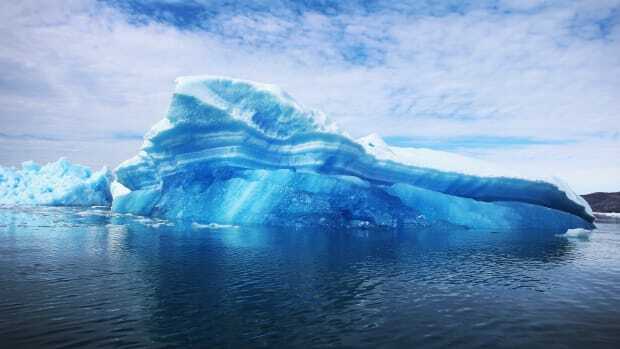 Coast Guard Commander Paul Zukunft said, based on the current science, he&apos;s planning on six feet of sea level rise by the end of the century as polar ice sheets and glaciers melt. 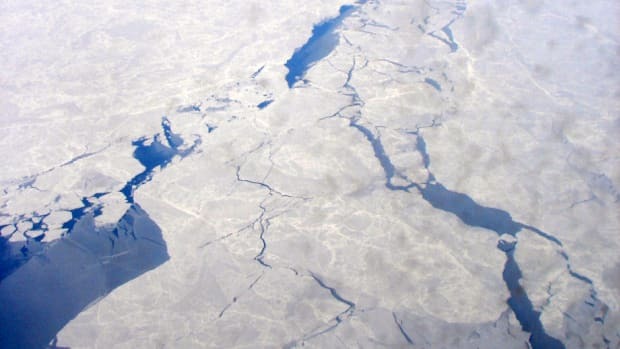 In late March, just after satellites measured the lowest-ever Arctic winter sea ice extent, hurricane-force winds pushed a flotilla of icebergs into Atlantic shipping lanes near northeastern Canada. Between March 27th and April 3rd, the number of bergs in the warning area jumped from 37 to 455. "There were so many ... we couldn&apos;t actually count them all. It was absolutely amazing," McGrath said. "We had seven icebergs that were detected outside our iceberg limit. Typically, we&apos;ll have one or two of those in a given season." This year, the icebergs moved farther west than usual, invading an offshore oil and gas drilling zone near the Grand Banks, she said. With little warning, the rigs were inundated with the icebergs, a serious situation that can damage drilling equipment and hamper production. With adequate notice, the drill rig safety crews can prepare towing operations to remove the floating chunks of ice, but this year they were overwhelmed and resorted to emergency measures to keep the massive bergs away from the oil and gas machinery. "There were so many icebergs coming onto the rigs. 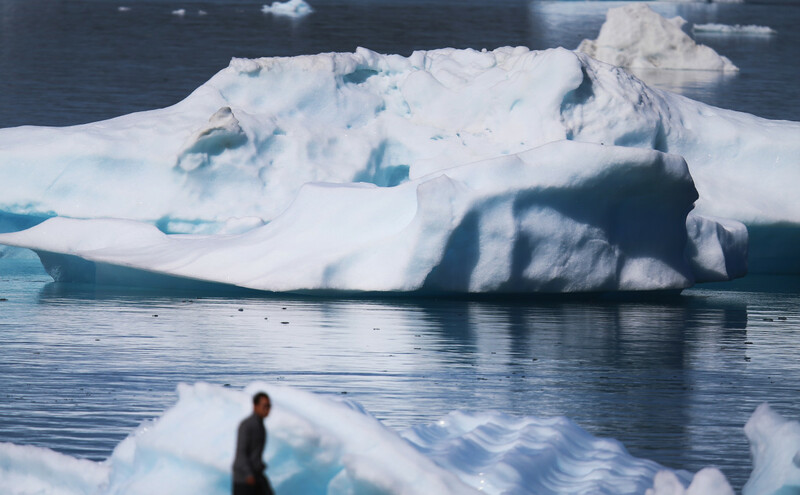 They were using water cannons to just basically just spray the icebergs away," McGrath said. Icebergs are seen floating in the water on July 30th, 2013, in Narsaq, Greenland. The U.S. has undersea research capabilities and detailed satellite data from the Arctic, but new icebreakers would really help efforts to monitor changes on the ground and forecast dangerous situations. Everyone agrees that those ships are needed, but bureaucratic inertia has prevented progress, according to former U.S. Coast Guard Commandant Thad Allen. "It&apos;s time to let policymakers and the real requirements of the Arctic speak to what we need," Allen said, blaming the Office of Management and Budget of playing the National Science Foundation and the Coast Guard against each other. Those requirements may include facing Russia&apos;s seafloor territorial claims, or responding to the unthinkable, such as an oil spill high in the Arctic, said current U.S. Coast Guard Commandant Paul Zukunft. Based on what he&apos;s seen in the Arctic, and on the latest science, Zukunft said he&apos;s planning for six feet of sea level rise by the end of the century, as polar ice sheets and glaciers melt. The changes in the Arctic could spur new geopolitical tension in the region, since at least a trillion dollars&apos; worth of fossil fuels will become more accessible as the ice cap shrinks. "When you look at the untapped oil and gas reserves in the Arctic, much of that is in our Exclusive Economic Zone. At the same time, Russia is laying claim to much of the Arctic Ocean seafloor, right up to the North Pole," Zukunft said. "We are an Arctic nation, but we have not taken the steps to exert sovereignty." At a current oil price of about $46 per barrel, there&apos;s little chance that there will be a big push toward development, but as soon as prices range upward of $80 per barrel, that could change—plus, some of the policy barriers may be coming down, Zukunft said, referring to the Trump administration&apos;s moves to enable offshore Arctic drilling. He also raised the critical question of whether the U.S. is prepared to deal with the potentially disastrous consequences of an Arctic oil spill, and recalled the 2010 Deepwater Horizon spill in the Gulf of Mexico. "On the best of days during the Deepwater spill, we recovered maybe 15 percent of the oil there. In the Arctic, there is no infrastructure for oil recovery. It&apos;s not an area where we want to find out what happens if there&apos;s an oil spill," Zukunft said.